As she begins her second year as Opinions editor and 3rd year on the newspaper staff Sophia Manolis is more dedicated than ever to make sure new and returning students feel welcome and supported at South, especially when it comes to The Southerner. 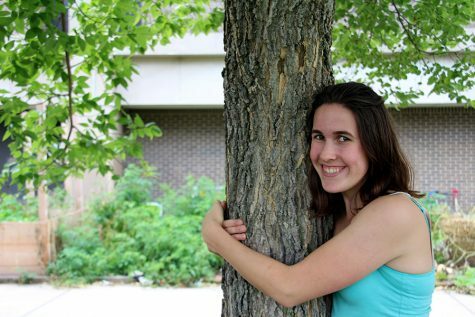 Beyond the Newspaper she pursues a strong passion for environmental justice, working closely with organizations like South’s own Green Tigers too plan movements and lobby for change both in school and on a larger scale, dealing with issues like line 3 and the proposed pipeline in the boundary waters. Part of what draws her to newspaper is her drive to make the world a better place for everyone in it through journalism. Outside of academics Sophia enjoys competitive swimming with 9 years of experience she represents South as a swimmer for the Varsity team. She also enjoys writing and reading poetry and spending time in nature. She doesn't quite know what the future holds but is hopeful that it will involve activism and lobbying for the issues she cares about.